Pupils are taught reading, writing, speaking and listening and SPAG (Spelling, Punctuation and Grammar). The learning of writing comprises of two strands-transcription (spelling and handwriting) and composition (articulating ideas and structuring them in speech and writing). Following the INSET training day in January 2017, a new handwriting policy is in place promoting handwriting writing throughout the school. In KS1, spelling progression is linked to the learning of sounds (phonetic knowledge) using the Letters and Sounds phases in KS1 and learning that there are certain 'tricky' words that must be known by heart. In KS2 spelling is taught using a structured spelling programme that builds on children's early phonic knowledge and focuses on learning spelling rules and conventions. High quality texts including digital media and short films are used in English teaching to enhance children's vocabulary, creativity and knowledge of and ability to use figurative language in their writing. Grammar and punctuation are also taught so that children learn to control their speaking and writing consciously and have an increasing command of Standard English. The learning of writing comprises of two strands-transcription (spelling and handwriting) and composition (articulating ideas and structuring them in speech and writing). A new handwriting policy is due to be adopted in January 2016 promoting pre-cursive and cursive writing through out the school. In KS1, spelling progression is linked to the learning of sounds (phonetic knowledge) using the Letters and Sounds phases in KS1 and learning that there are certain 'tricky' words that must be known by heart. In KS2 spelling is taught using a structured spelling programme that builds on children's early phonic knowledge and focuses on learning spelling rules and conventions. High quality texts including digital media and short films are used in English teaching to enhance children's vocabulary, creativity and knowledge of and ability to use figurative language in their writing. Grammar and punctuation are also taught so that children learn to control their speaking and writing consciously and have an increasing command of Standard English. Our successful Funding Bid from the Cambridge School Improvement Board saw the launch of Talking Together Oracy Project in January 2018. 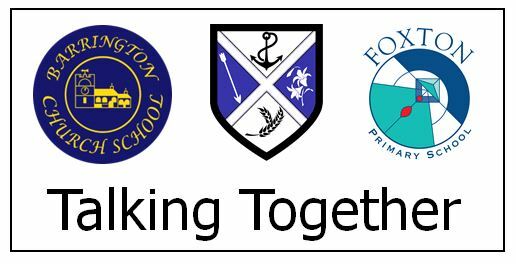 We are delighted to be working with Barrington and Foxton schools on this project. Oracy is the ability to communicate effectively and lack of oracy skills can be a significant barrier to children’s attainment. Oral communication links well to all areas of the curriculum and is an essential life skill. Both research and our experience have shown that good oracy leads to higher order thinking and deeper understanding which support children’s progress in all areas of the curriculum. Please see our document 'Oracy Information: How to develop your child's oracy skills at home' to support oracy in the home. Speaking and listening opportunities are encouraged across the whole curriculum. In KS1 we encourage pupils to participate in show and tell, presentation of their work to a group, drama activities and in class discussions. 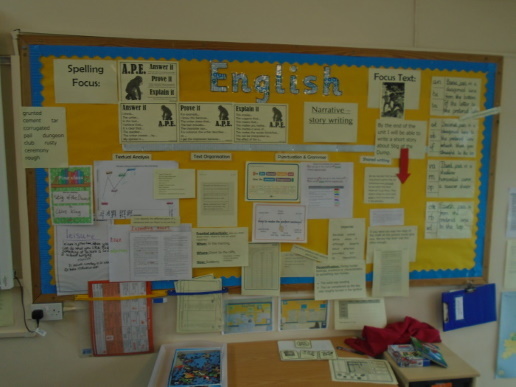 In KS2, pupils participate in discussions as a class, opportunities to prepare a talk, presentations on a topic and participate in debate and discussion.